Don’t you just love it when error messages are so helpful! 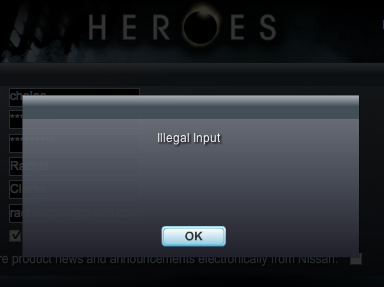 No idea what I did wrong, but the Heroes NBC page will not let me sign up. This entry was posted in TV by Rachel. Bookmark the permalink.